The ColorMaxT6i Digital Color Multimedia Printer produces outstanding CMYK output using revolutionary multi-level LED print heads to control the amount of toner applied to each 1200-dpi dot, for fine detail across the entire document. High-capacity toner cartridges produce up to 38,000 pages, using dry toner which is durable, and ideal for envelopes to withstand the elements. 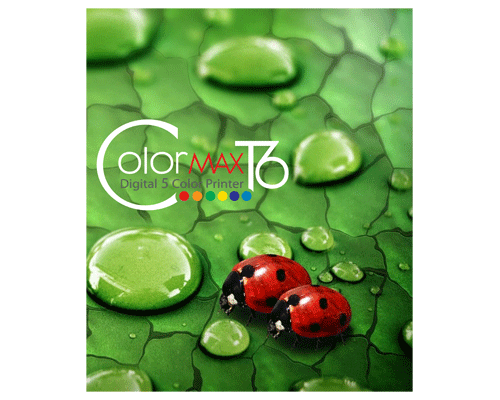 The ColorMaxT6i has the ability to print CMYK plus White or Clear toner in a single pass. 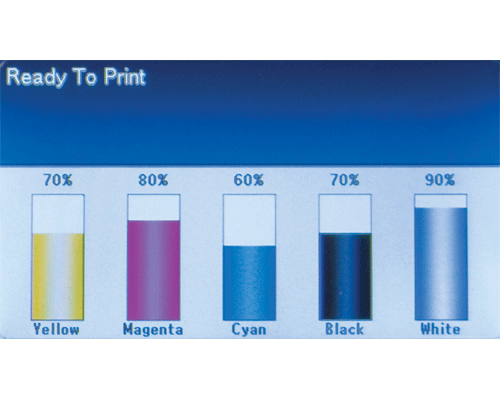 Using white toner allows users to print color-on-color and white-on-color, producing text and images that virtually pop right off the page. Clear gloss toner produces watermarks and artistic embellishments that simply can’t be ignored. It only takes a few minutes to switch the fifth station from White to Clear gloss toner, and back again. 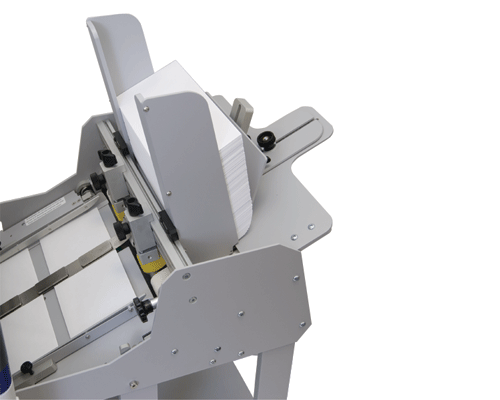 Designed with a straight feed path, envelope feeder and output conveyor, the ColorMaxT6i provides Clean Sheet print technology, making it ideal for printing envelopes of all sizes. Printing at up to 50 pages per minute, it can handle a variety of stock, up to 360gsm, in sizes ranging from 3” x 5” index cards to 13” x 52” banners. This flexibility provides the ability to create envelopes, banners, mock-ups, stationery, invitations, brochures, and more. The high-resolution color LCD control panel features an alphanumeric keypad, and displays real-time information on print jobs and toner levels. Other user-friendly features include a front-access compartment for replacing toner, and duplex printing, which allows users to feed and print two-sided documents in one pass. 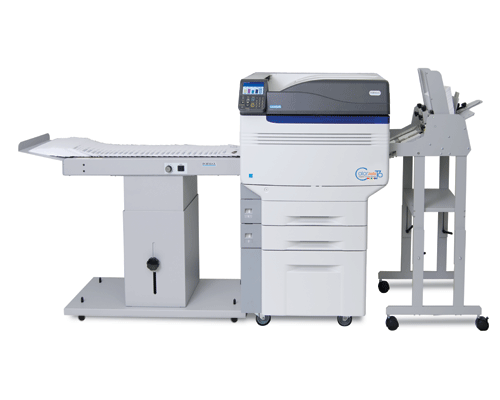 Standard configuration includes the printer, two 530-sheet trays, an envelope feeder and output conveyor, and a stand with casters for mobility. Options include a long paper tray for banner printing, and a 160GB hard disk kit. The ColorMaxT6i produces brilliant full-color envelopes and more, making it ideal for print shops, mail houses, advertising agencies, businesses and schools.